Successfully saved OVEN BAKED CHICKEN SCOTCH EGGS (VIDEO) to your Calendar. You can also save the ingredients to your Grocery List. 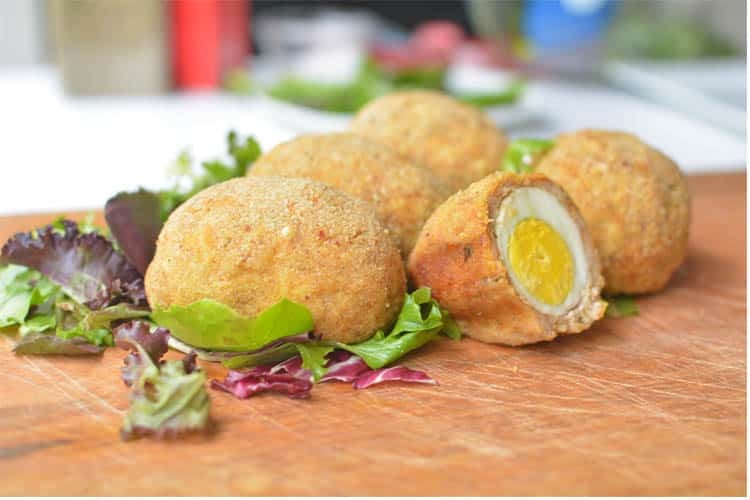 These baked Chicken Scotch Eggs makes such a great dish for either breakfast or any other part of the day and these ones are absolutely guilt free because they are baked!